During a joint news conference Monday in Washington with Italian Prime Minister Giuseppe Conte, Trump said he was willing to meet the Iranian leadership without preconditions. "If they want to meet, I'll meet," Trump told reporters. "I would certainly meet with Iran if they wanted to meet. I don't know that they're ready yet. I ended the Iran deal. It was a ridiculous deal. I do believe that they will probably end up wanting to meet, and I'm ready to meet any time that they want to." However, US Secretary of State Mike Pompeo hedged Trump's claim about meeting without preconditions, telling CNBC later that day, "If the Iranians demonstrate a commitment to make fundamental changes in how they treat their own people, reduce their malign behavior, can agree that it's worthwhile to enter in a nuclear agreement that actually prevents proliferation, then the president said he's prepared to sit down and have a conversation with him." When the US left the 2015 Joint Comprehensive Plan of Action (JCPOA), also known as the Iran nuclear deal, in May, Pompeo set out a dozen demands to be included in a new, tougher accord with Iran, including Iran granting the International Atomic Energy Agency unrestricted access to all its nuclear and missile sites as well as unrelated items such as a complete withdrawal of Iranian forces from Syria and an end to Iranian support of all foreign political movements and countries. However, America's departure from the agreement didn't destroy it: Iran, which had abided by the agreement all along, continued to do so along with the remaining signatories: France, Germany, Russia, China and the UK. That means that while the Iranian position hasn't changed, the US position has: a signal that Iran is in a much better position vis-a-vis the US as compared to 2015. Mohammad Marandi, an expert on American studies and postcolonial literature who teaches at the University of Tehran, told Radio Sputnik's Loud & Clear, "The very fact that Trump wrecked the nuclear deal is reason enough for Iran not to negotiate." ​"If Trump is serious about resolving the problem between the two countries, he has to abide by agreements that the United States has signed up to," the scholar told hosts John Kiriakou and Brian Becker. "Otherwise, there's no reason why Iran should believe that after any future hypothetical negotiations, hypothetically speaking, that Trump will not back out of any potential agreement then." "So, as long as the United States under Trump does not return to the nuclear deal, there really is nothing to negotiate. We do not trust them. They've already been untrustworthy with regard to the nuclear deal, and the very fact that they're threatening Iranians and imposing sanctions means they're not serious about resolving the issue." New economic sanctions by the US are scheduled to take effect on August 6, 90 days after US departure from the JCPOA, targeting Iranian metal exports, automobile exports and the Iranian debt, according to the US Treasury Department. 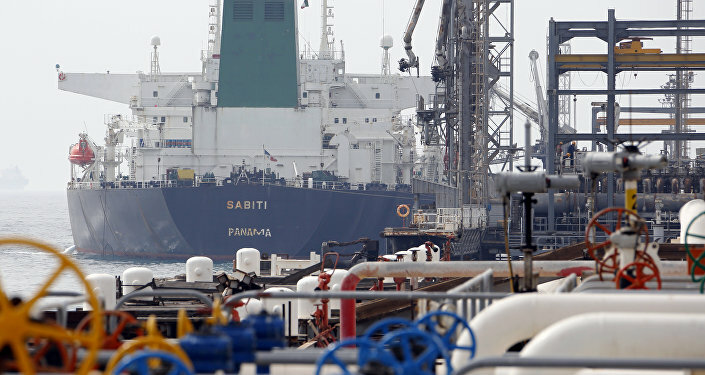 On November 4, 180 days after the US pullout, another round of sanctions begins, targeting other countries that buy Iranian oil or do business in Iranian ports. However, the big question is: why has Trump made about-face now, just a week before those sanctions begin? "It's unclear, and that's another problem, because he's so unpredictable. It's very difficult to understand what's going on," Marandi said. "Pompeo himself, subsequent to the president's statements, put on his own conditions; so who's in charge, what's going on? No one knows. But the point is that Iran and the United States were already negotiating; the two sides were negotiating extensively. The foreign ministers had met each other regularly; deputy foreign ministers were negotiating on a very regular basis." But it was Trump who brought all that to an end last May, Marandi pointed out. "And if he is upset about the nuclear deal, well, many people in Iran are upset about the nuclear deal; many people in Iran felt that the government gave too much. But, once the country signed up to it, everyone agreed that Iran must abide by it. So how can Iran negotiate with Trump when he tears up agreements the United States had signed up to, when he keeps shifting his position, when his statements are negated by his own secretary of state?" "There really is no purpose in negotiating with the United States," he said. "Another problem is that Iranians are concerned that Trump may think that, because of the sanctions and the pressure, Iranians are willing to give concessions. So any new green light on behalf of Iran would be misinterpreted in Washington. Therefore, Iranians are very adamant that we are willing to talk only after the United States has returned to the JCPOA and abides by its commitments." Iranian President Hassan Rouhani responded to Trump's offer Tuesday, saying, "The Islamic Republic of Iran is always ready to develop relations with European countries, and now, after the US' illegal withdrawal from the JCPOA, the ball is in Europe's court in the limited time remaining." 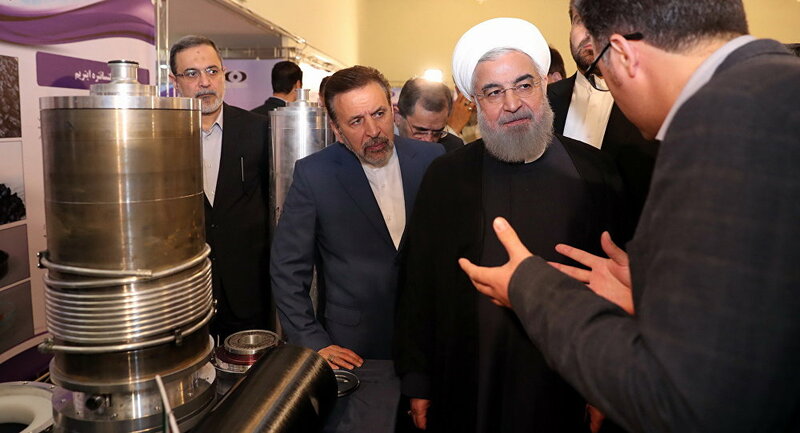 Rouhani told reporters his country "has never sought tensions in the region and does not want any problem to happen for world's waterways," but he indicated that Iran "will never let go of its rights to export oil." "The United States, if it wants to continue talking with Iran, it has no choice but to go back to the nuclear agreement," Marandi concluded.